Chelsea captain John Terry expects a battle at the Bridge on Saturday. The Premier League leaders host 19th place Burnley, looking to extend their advantage over champions Manchester City to 10 points ahead of City’s home clash with Newcastle later that night. The Clarets are three points from 15th but have won once in 10 games. 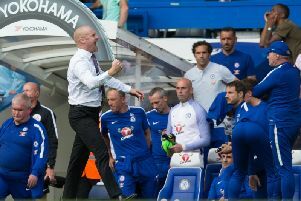 However, after the 1-1 draw at PSG on Tuesday night in the Champions League, Terry warned his teammates that Burnley are capable of upsetting their title charge:”We are back in the Premier League this weekend for what is a massive three points. “It is important we win and they have shown already at Man City that they’re hungry and fighting.